Nothing will ever be the same again . . . In the heart of Philadelphia’s badlands, Homicide Detectives Byrne and Balzano are called out to a particularly chilling crime scene. Once the pillar of the neighbourhood, an abandoned church has become a killing room. At first it looks like a random act of violence. But then a second body is found, and a third. Each crime scene more disturbing than the last, each murder more brutal. And it soon becomes horrifyingly clear that a cold, calculating and terrifyingly precise mind is at work. 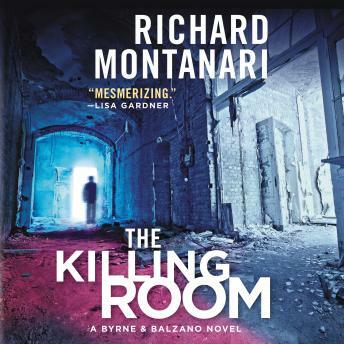 With very few leads, and a mastermind who always seems to be one step ahead, Byrne and Balzano are faced with challenges they could never have imagined as they race against time to hunt down their killer, before it’s too late . . .